Fifty-nine years old Kouamé Akissi is a mother of seven children and leaves in Toumodi, in the Central part of Cote d’Ivoire. Using knowledge, new varieties, and training obtained from one of West Africa’s most successful agricultural interventions she has not only closed the lagging income gap that now allows her to take full responsibility of her family, but also to produce more cassava on a hectare of land. “One day I got a phone call inviting me to a training workshop in Abidjan. No one could have imagined the outcome of the training would be a life-changing experience,” says a smiling Akissi. 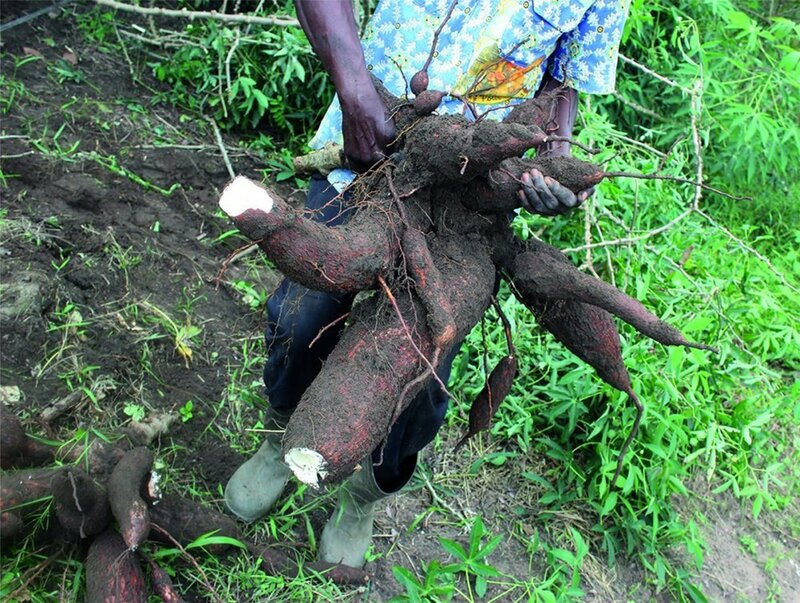 Akissi says she produces improved species of cassava, controlled and classified by Ivorian researchers. This includes bocoui and Yavo as well as Ampong, Sma, Olekanga, Brony, Brankye, Otuhia, obtained from neighboring Ghana as part of a regional exchange scheme to facilitate the free flow of improved crop species from one country to another. 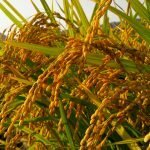 With the blessing of the West Africa Agricultural Productivity Program (WAAPP), her species have increased yields varying between 20 and 50 tons per hectare. With experience in processing cassava, Akissi has founded Etranou, a local cooperative meaning “let’s bond together’ in the Baolé language spoken mostly in Central Cote d’Ivoire. The group brings together about 30 village women. Etranou members have also seen their revenues increase by 10 percent. Akissi is now regularly invited to join other women groups to share her knowledge and help improve cassava production. “We never thought it was possible,” she says. But with new knowledge and her capacity improved by the WAAPP, she is now a living testimony of using cassava to improve both her livelihood and income situation. With some technologies approved by the WAAPP, processing cassava has become considerably easier than before. They cut their cassavas. Then put them in the machine. Then push a button. Within a few minutes, the 100-liters size grounding machine delivers ground cassava, finer and cleaner than they had ever done with their hands along the green-and-brown checkerboard of fields covering a broad stretch of Man, Bouaké and Brendressous in the west and central Cote d’Ivoire. Tano Viviane, a 50-year-old mother of six from Bouaké in Central Cote d’Ivoire, has earned the nickname of ‘Kwasio manioc meaning Cassava mama for her 25 years involvement in cassava production. 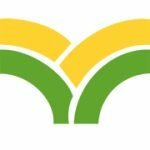 The West and Central Africa Council for Agricultural Research and Development (CORAF), the region’s leading research institution coordinating innovative technologies in the agric sector recognized her role in the cassava business. “I received 3 million CFA Francs (about USD 5500) as part of the award,” says Tano. She invested the money into the cassava production process and handed some out as credits for village farmers. She says, the credit generated a meager 2 percent interest and a 10 percent increase in revenue for her group. International companies including Dutch-based businesses contacted her group in 2016 for the supply of cassava. While this presents tremendous growth opportunities, assembling the capital and inputs required to produce at large scale to meet national and international demand remains a challenge for these small-scale producers in the region. “There is demand, but so far, we do not have enough capital and the right mechanization tools to produce enough to meet local and international demand,” says Mrs. Kouamé Akissi. However, in West Africa where the percentage of women in poverty is growing with the expanding population, these new technologies and crop varieties offered by the WAAPP bring with them new economic opportunities for women to experience significant changes in their livelihoods. “I am responsible for my entire household. My husband is sick and I am today the breadwinner of the family,” adds Akissi. 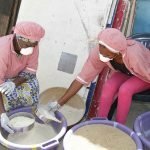 Until recently, most small bakery businesses in Cote d’Ivoire faced significant challenges related to obtaining raw material including flour. Thanks to the WAAPP, many of the hurdles in the pastry market are now falling. Pastry and bread are now produced with inexpensive, more nutritive and easy-to-produce cassava flour. The manager of Top’Pain, an Abidjan-based leading pastry firm, Louis Kakou agrees that thanks to WAAPP-generated cassava, they now have enough flour to grow their businesses and meet local demand. “Before the training workshops organized by the WAAPP, women bakers did not know one can use local flour to bake and obtain good results,” says the manager of Top’Pain. With the World bank investing in the WAAPP, West Africa is emerging as a laboratory for testing new approaches to boosting food production. 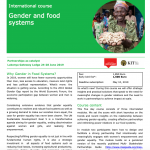 Experts agree that women hold the future of agricultural transformation in the region. 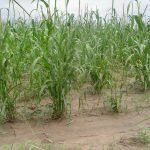 “What we have seen with this innovative project is that research and development are critical to creating new opportunities for those involved in the agriculture economy of Cote d’Ivoire and West Africa in general,” says Dr. Abdou Tenkouano, Executive Director of the Dakar-based research organization, CORAF.